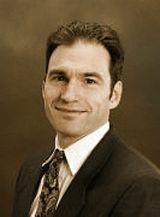 Brian Ledell is a co-founder of Ledell Ansari, LLP. Brian is a patent attorney with considerable experience in client counseling and preparing and prosecuting patent applications. Brian started his career in patent law with two years as a U.S. Patent Examiner with the United States Patent and Trademark Office. Since leaving the Patent Office, Brian has worked extensively on the preparation and prosecution of patent applications in the U.S. and in foreign patent offices. Brian has significant experience in the areas of computer hardware and software systems, telecommunications systems and methods, business methods, and Internet hardware and software systems. In addition to patent preparation and prosecution experience, Brian has provided opinions on infringement and validity of patents. Prior to forming Ledell Ansari, LLP, Brian worked as an associate and partner at the boutique patent law firm of Harrity & Harrity, LLP. Brian has also worked as an associate at the law firm of Finnegan, Henderson, Farabow, Garrett, & Dunner, and later at Pillsbury, Madison, & Sutro (now Pillsbury, Winthrop, Shaw, Pittman). At the Patent Office, Brian examined patent applications in the area of computer instruction processing and computer networking.